Are Eggs Good For Building Muscle? If you've been lacking protein in your diet and can't make the muscle gains you're hoping for, you should consider eating eggs. Eggs are one of the best and cheapest protein sources out there and bypassing this high-quality protein is a big mistake. Many people dread eggs and stay away from them like the plague because of the misconception that eggs are high in cholesterol and can wreak havoc on your health. This can't be further from the truth. It's true eggs notably the yolk contains cholesterol but it's dietary cholesterol and the good kind. It's mostly saturated fats that you should worry about and the egg yolk contains approximately only a mere 1.5 grams of saturated fat which is quite minimal. This is why it's not recommended to eat too many whole eggs per day as the saturated fats will add up. For example 10 whole eggs per day at 15 grams of saturated fats is not healthy at all. Moderation is key here and 1-3 eggs per day or every other day should not pose any major concern. Consider that you're also active and exercising so all this counts for a balanced lifestyle compared to someone eating junk food and leading a sedentary lifestyle. Coming back to eggs and its protein benefits for building muscle, they should indeed be included in your nutrition without any afterthoughts. Eggs are really good for building muscle fast. On the protein biological value(BV) ladder, eggs rank at 100 which means its absorption rate and efficiency to be used for muscle growth are fast and high. Egg protein is digested faster than chicken, meat or fish. Some nutritional facts about eggs, a whole large egg contains 75-80 calories with 7 grams of quality protein and they are filling and satiating. 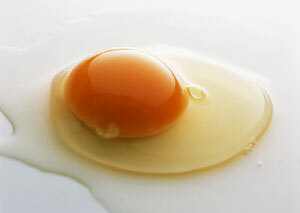 The albumin also known as the egg white has 4.2 grams of protein while the egg yolk has 2.8 grams of protein. The egg yolk also contains an array of nutrients like vitamins and minerals including choline, thiamine, riboflavin, potassium, vitamins A, D, E, B6, B12, iron, magnesium, zinc, phosphorus, folate and pantothenic acid. Throwing away the yolk is like throwing all the good things from the egg. When you buy eggs, it's best if you can get the free range or organic ones as they have higher levels of omega-3s. These eggs are usually derived from chicken which are cage free and are allowed to roam freely. Farm eggs are a better choice as compared to store bought eggs for instance. Their yolk is usually more of an orange color and tastier. These eggs are also thick shelled. Not only are eggs affordable and high-quality protein, they are also fast and easy to prepare and very versatile. You can cook them in so many different aways for your taste buds whether it's hard boiled, scrambled, poached, omelette and so on or use them with other food items like doing a fried rice for instance. 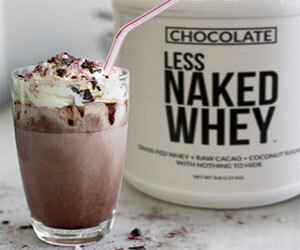 They are also very ideal and convenient for breakfast when you need a fast protein meal in the morning. For their protein and muscle-building needs, some bodybuilders and athletes like to hard boil them and carry in tupperware to be used as a snack when they are on the go. Another way bodybuilders like to eat their eggs is to use only the egg whites and separate the yolk from the albumin. A 288 pound bodybuilder needs 288 grams of protein per day(1 gram of protein per pound of bodyweight), so divided into 6 meals, this gives 48 grams of protein per meal. If they have to get that protein amount from whole eggs for 1 meal, that equals to roughly 8 eggs. If you have to eat 8 whole eggs everyday say for breakfast, it might not be too healthy due to the yolk. This is why many bodybuilders separate the yolk from the albumin and add only 1-3 yolks with the egg whites or simply eat the egg whites only. Unfortunately, doing this process time and time again can become a hassle and a chore. We are talking about dozens of egg whites. Luckily, there are readily available egg white powder which are sold in protein tubs which is extremely convenient and handy when you eat eggs everyday as part of your bodybuilding nutrition routine. One scoop serving of such product can equal to 7 egg whites and 24 grams of protein, so to get 48 grams of protein from this product, you'll need only 2 scoops which is 14 egg whites. Now, you just need to adjust the dosage according to your needs. Whether your goal is to build muscle or even lose weight, eggs can play a fundamental role in helping you achieve your objectives, so eat up. 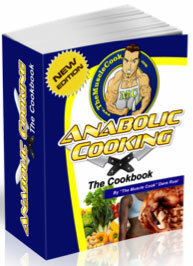 Proper nutrition is key for building muscle, check out Anabolic Cooking , The Cookbook designed for anyone who wants to build a lean muscular physique. Packed with 200+ muscle-building and fat-burning recipes, solid nutrition advice and much more, this is the ultimate cookbook and complete nutrition guide for bodybuilding and fitness.